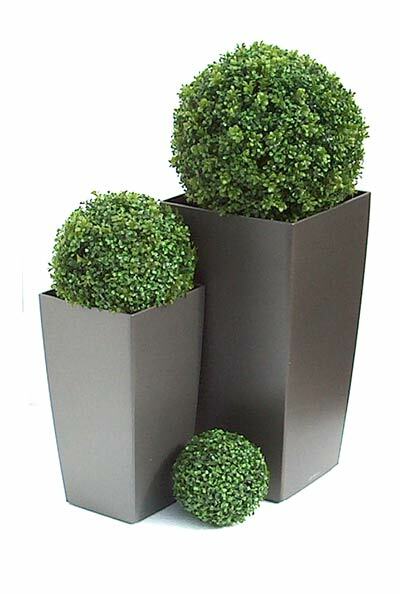 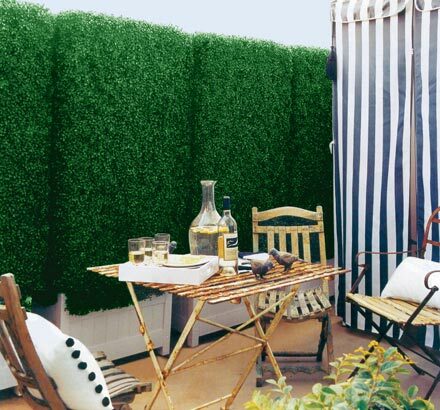 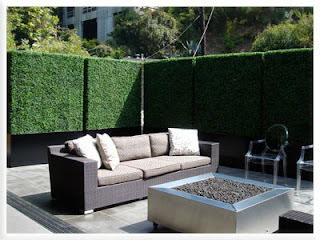 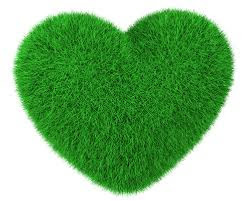 I just returned from a visit to the UK, and again I have became obsessed with faux boxwood, faux topiaries and now faux grass covered furniture, what do you think??? 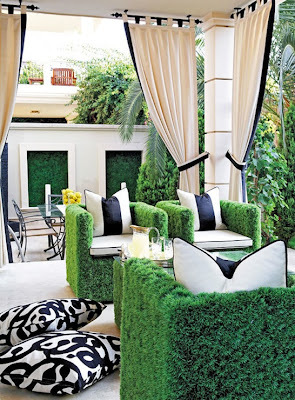 Love this twist on Traditional. 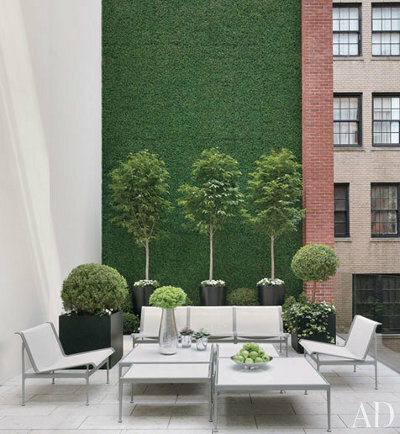 Donny Deutsch's amazing Patio courtesy Architectural Digest. 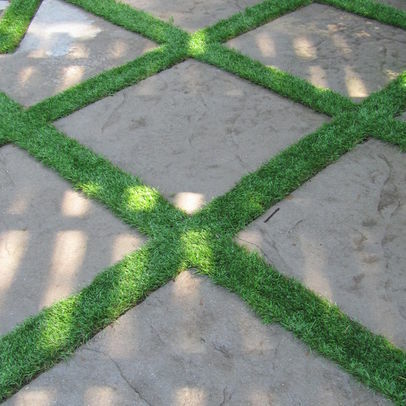 ❤❤❤ This elegant patio floor. 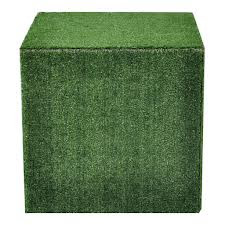 One of two simple cubes from Ikea, that I covered with faux grass.